For me “fashion” is the way we mould our personal style statement to compliment the trends set by leading fashion houses. It is thus a fine balance between fashion and comfort, between personal preferences and popular styles that creates the best of looks. Just because high heels give an elegant look, doesn’t mean you just have to wear them. Model your wardrobe on your personality while borrowing ideas from the latest trends. Updating your wardrobe regularly is the best way to walk with fashion. I feel that this may not be a viable option for a lot of people, especially working women, who lack the time and energy this demands. So, for them, it would be better to perhaps build a wardrobe with more of evergreen styles and update it as and when possible. And the one evergreen trend that is a hit for all seasons is “Chikan Work”. Chikan Kari is a type of elaborate embroidery work, which comes from the City of Nawabs, Lucknow. As this embroidery belongs to the royal era, it has the grandeur and fineness the matches noble grace. Such delicate, intricate embroidery reminds us of the cultural roots of ethnic and baronial designs. Zardosi, Aari, Mukesh and Jali are currently trending high on the charts of Chikan wear. 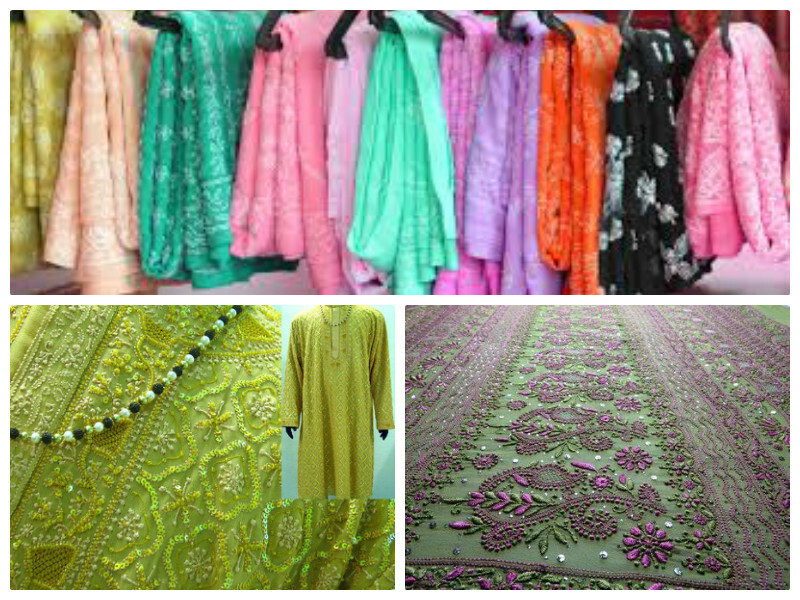 Available on a variety of different fabrics, you can have chikan embroidery on sarees, tunics, anarkali suits and more. Also, it is not restricted to clothes alone but extends its wings to table covers, linen, cushion covers and bed sheets. It then comes as no surprise that there is much craze for this kind across the globe. Lucknow obligingly provides beautiful pieces of Chikan-work and exports these ethnic styles overseas. One major factor contributing to its popularity such embroidery is suitable for both summer and winter clothes. In the winters in fact, Chikan work on crepe and silk makes for some fabulous party wear. So get some Chikan wear for your wardrobe, to make yourself fashion-ready for every season. Don’t forget: be stylish and spicy always!